Sure, double parking is rude and very frustrating to deal with when you’re blocked in, but one could at least call the police and have it towed away, wait around for the offending driver, or go inside and try to find them. This Mercedes driver decides to put that 5.5-liter twin turbocharged V8 to use and unleash 561 lb-ft of torque to push the offending Lancer out of the way. It’s probably safe to assume that the owner of the G63 AMG has quite a bit of disposable income, so a few grand to fix the bumper and paint is probably just pocket change, not worth the trouble of waiting around for a tow truck. The Lancer driver might have a bit of an issue with this hit-and-run, however. 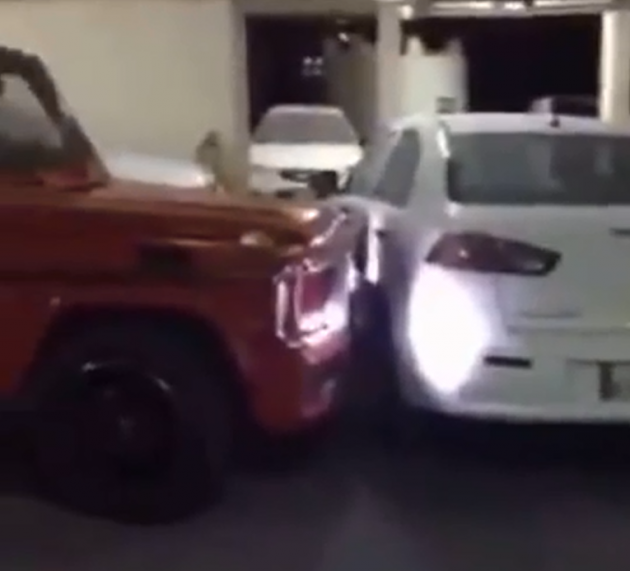 We think that both parties were in the wrong here, but the G63 AMG driver sure took the low road in handling the conflict. Let us know how you would have handled the situation!